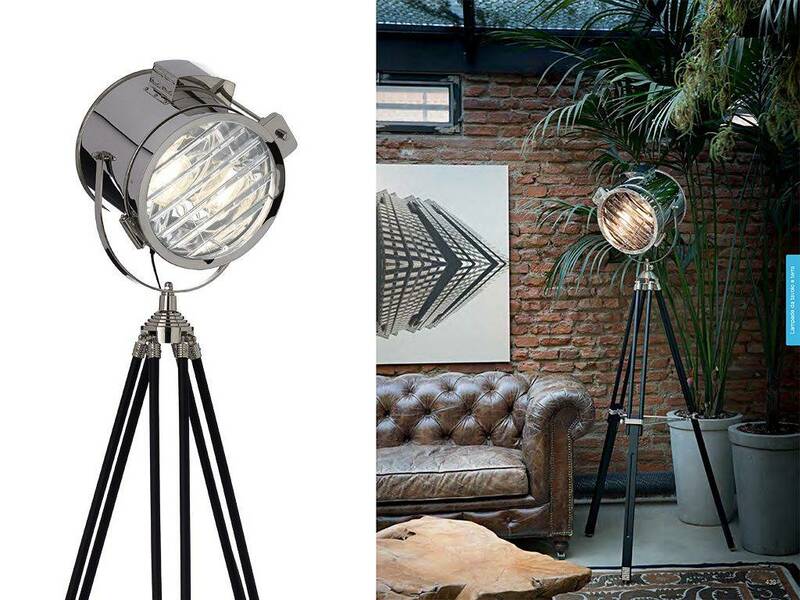 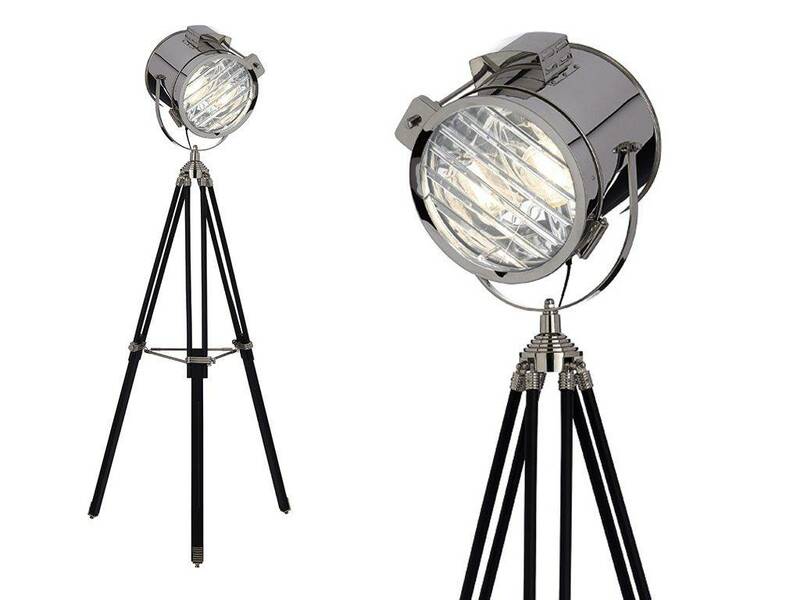 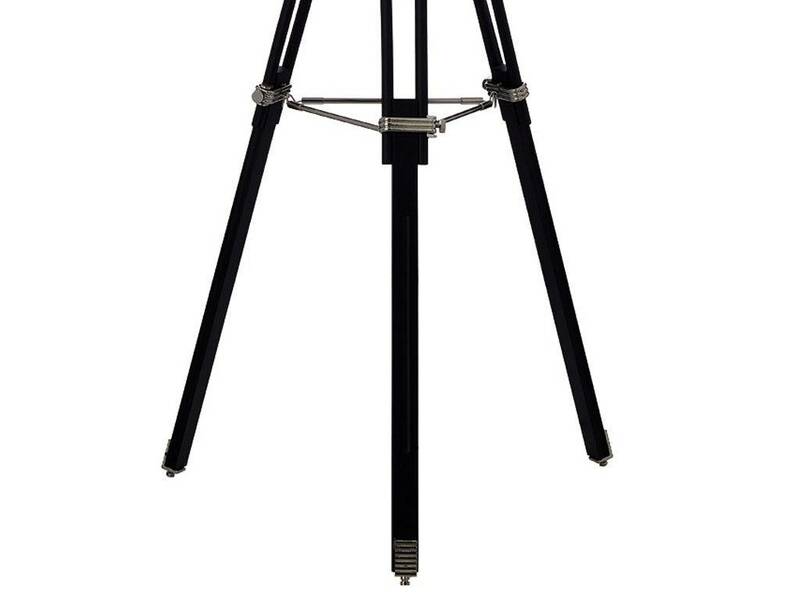 Floodlight lamp with matt black enamel coated wooden tripod. 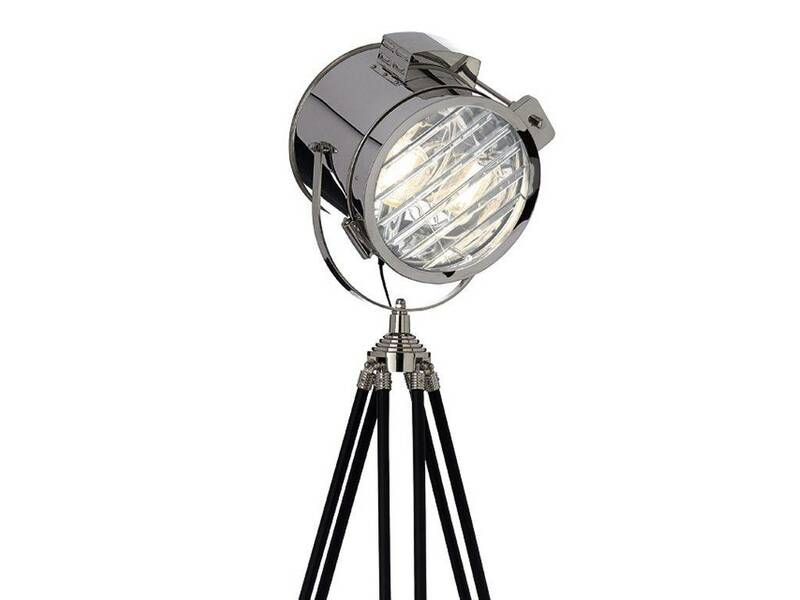 Chrome metal details and body. Clear glass diffuser with inner wings, which regulate the light spread.